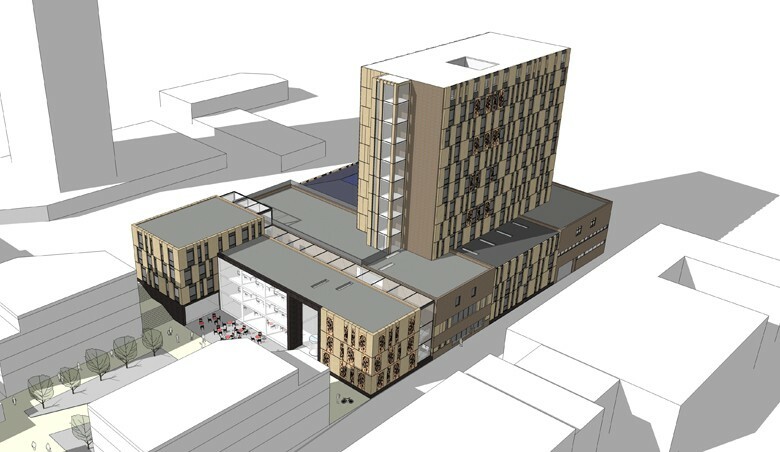 ECE have developed exciting new proposals for City College Brighton and Hove’s Pelham Street Campus. The scheme retains and remodels the existing college building, adding 2,500m2 of additional teaching and learning floor space on the college car park whilst creating around 715m2 of employment space for creative and digital companies. The refurbished tower on the Pelham Street site will provide state-of-the art facilities, supporting the creation of hundreds of apprenticeships over the next five years. The new teaching and learning space will support the College’s ambitions to extend and enhance its offer in the creative, digital and IT sectors. This £36 million pound project is subject to a successful bid to the Local Growth Fund. An enabling development of new homes or a new secondary school for the city has also been proposed as part of the masterplan.